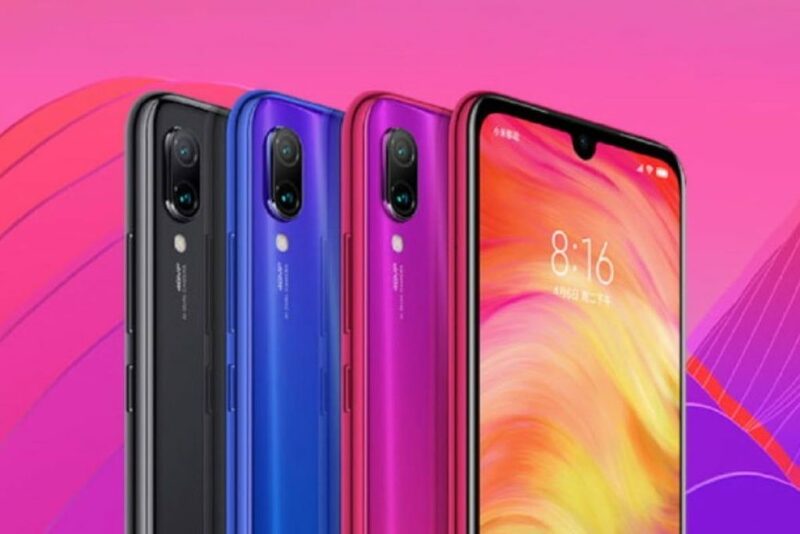 Redmi Note 7 saw its launch in China last month and there has been a teaser that the product shall soon enter the Indian marketplace. There are hints being dropped by none other than Manu Kumar Jain, Xiaomi country. There had been a purported leak recently on the color options and RAM + storage for the models for Indian market. After the announcement of their Redmi sub-brand, this smartphone is the first launch by Xiaomi. The Redmi brand’s focus is on budget devices having competing specs and the phone shall be marketed only online. The Redmi Note 7 comes with a 48-megapixel rear sensor, a 4,000mAh battery, Snapdragon 660 processor, and 13-megapixel selfie sensor support. The phone also sports a 6.3-inch full-HD+ display up to 6GB of RAM. The Redmi Note 7 is likely to be priced in India around the range of its pricing in China. Price for the Redmi Note 7 in China is starting at CNY 999 (roughly Rs. 10,500) for the 3GB RAM + 32GB storage, at CNY 1,199 (roughly Rs. 12,400) for option 4GB RAM + 64GB and CNY 1,399 (roughly Rs. 14,500) for option 6GB RAM + 64GB storage. The Redmi Note 7 is expected to be available in India in two options – 3GB RAM + 32GB storage version and the 4GB RAM + 64GB storage version. However, the 6GB RAM + 64GB storage model may be launched in the Indian market at a later date. The color options for Redmi Note 7 in India are likely to be Red, Black, and Blue. Although, Xiaomi has not come out with an official announcement on the date or an event to launch the smartphone in India, the Twitter handle of Redmi India is sending a Teaser about the arrival of a 48-megapixel sensor phone, thereby indicating at an early arrival of the Redmi Note 7 in the Indian market. The Xiaomi are promoting smartphone as a highly durable phone, and Liu Weibing CEO of the Redmi brand is taking several unusual tests to prove this point. There are video posts of him using the Redmi Note 7 in place of a chopping board. He has even asked employees to show the sturdiness of the phone exterior by jumping on it or throwing it down the staircase. That too when The Redmi Note 7 has 2.5D glass protection at front and back. 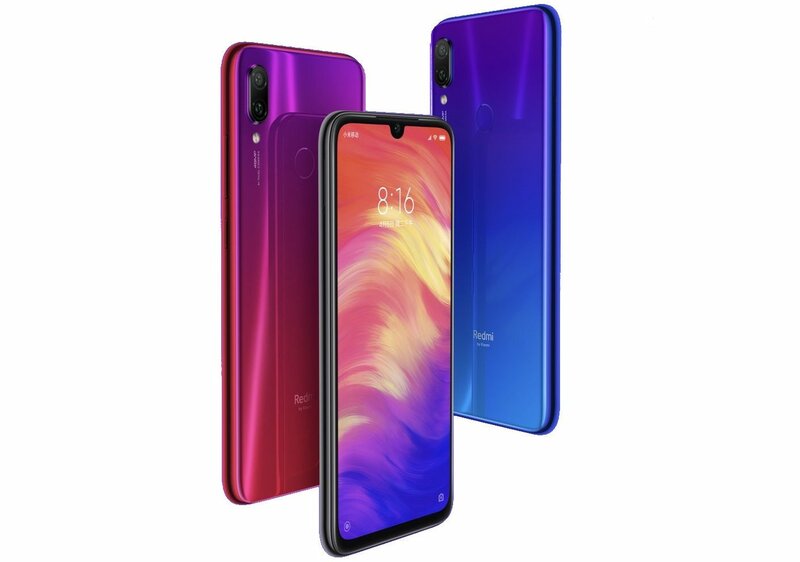 The Xiaomi Redmi Note 7 has a waterdrop-shaped notch, a slight chin at the bottom of the display, a dual rear camera at the back, a rear fingerprint scanner, and a gradient back panel finish. The phone also recebntly got support for the Super Night Scene Camera mode that first came with the Mi Mix 3. As the phone is already launched in China in January, it is most likely to have the same hardware in India. The Redmi Note 7 (Nano) dual-SIM comes with a sports a 6.3-inch full-HD+ (1080×2340 pixels) LTPS display and 19.5:9 aspect ratio, 2.5D curved glass protection and Corning Gorilla Glass 5. The battery is 2.2GHz Snapdragon 660 octa-core SoC paired supported by Adreno 512 graphics, in 3GB, 4GB, and 6GB RAM options. Internal storage comes at 32GB and 64GB options with the option to increase further using a microSD card slot (up to 256GB). 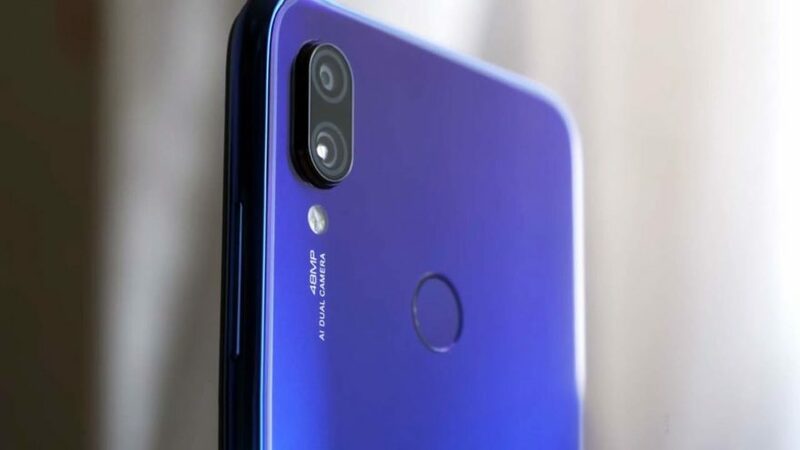 The Redmi Note 7 comes with dual camera setup sporting one 48-megapixel Samsung GM1 sensor with f/1.8 aperture and another 5-megpapixel sensor. The camera at the back has monochrome dual-LED flash support, while the camera Up front, there is a 13-megapixel selfie sensor as well. The Redmi Note 7 is fed by a 4,000mAh battery with Quick Charge 4 support. The Redmi Note 7 is flexible on connectivity options including 3.5mm audio jack. Additionally, USB Type-C port, AGPS, GLONASS, 4G VoLTE, Bluetooth v5, GPS and Wi-Fi 802.11a/b/g/n/ac are available.The Redmi Note 7 dimensions are 159.21×75.21×8.1mm and weighing 186 grams.